At Carry the Future, we are committed to helping refugees. One way we can do this is through our own children. By educating our children about what it means to be a refugee, we are preparing the next generation to make a difference. In the past, Carry the Future has provided many book recommendations for all ages. We shall continue to recommend books by and about refugees, but we will also include discussion materials that will help with your task of raising world changers. 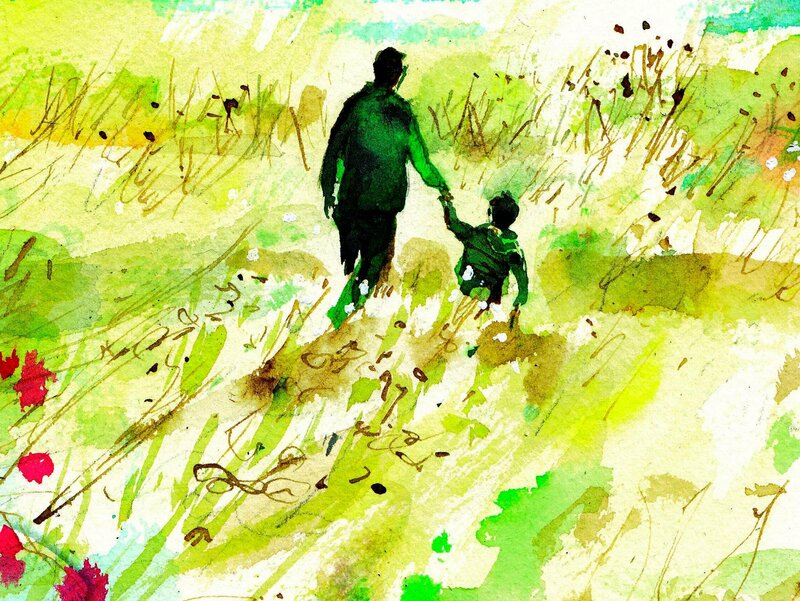 Sea Prayer, a book inspired by the death of Alan Kurdi, is a father’s prayer of safety. 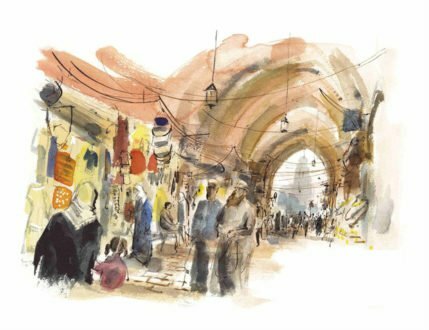 Khaled Hosseini takes the reader through his memories of his home before, during, and after its destruction. 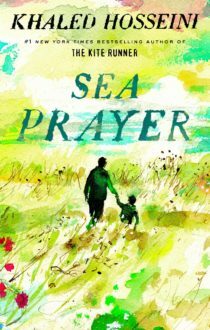 On a beach, waiting for a boat to take his family to safety, the father prayers that the sea hears his prayer and delivers his precious cargo safely. Even though this is a short book, we recommend taking your time as you read it with your child. Begin by looking at the pictures. Even if your child cannot yet read, they can gain perspective just by looking through the book. Ask them what they notice about the first few pages. What colors stand out? Can they see the faces of the people in the pictures? Where could this place be? Hopefully, they will notice that the landscape could be anywhere. They should see trees, bushes, flowers, maybe they’ll even notice what appear to be crops in a field. As you continue, read the words on each page. Again, stop and discuss. For instance, who is speaking? (A father) Who is Marwan? (His child) What does the father want to tell Marwan? Why might he want Marwan to know this? You can even make connections to your life: times you’ve shared your experiences with your child or even places that seem similar to the pictures. Even though it may be difficult, take note of where the tone changes. Ask your child if they can tell where that happens. Why has the tone changed? 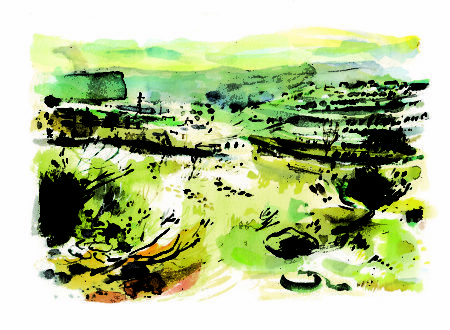 How might the father’s message to Marwan change? Again, take note of the visual aspect, noting the dominance of darker colors. By the end of the book, the father is desperate, praying to God for safety on an uncertain sea. We don’t know if they make it to safety or not. 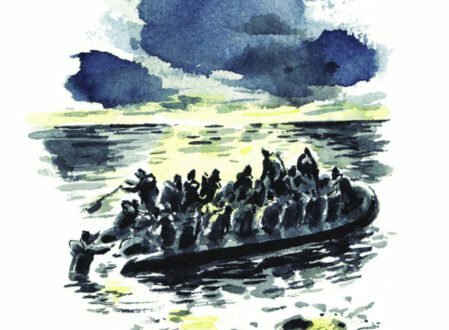 The book ends by reminding readers of the thousands who have died in the Mediterranean Sea trying to reach safety. While a grim topic, it is an important topic. You do not need to get into specifics, but you can discuss the difficulties that refugees face in attempting to reach safety. How might your child feel if they had to leave home quickly? What would they hope others would know about them? How would they hope others would help them? There are so many ways to discuss a book. The only wrong way is to not discuss it. The above are suggestions of what you can do with your child. Don’t feel tied to these questions and thoughts, however. Let your child lead the conversation. You will be surprised at what they notice. At Carry the Future, our mission to help refugees extends to future generations. It is our sincere desire to help parents raise their world changers. Click here to see the many ways you can get involved in our organization.